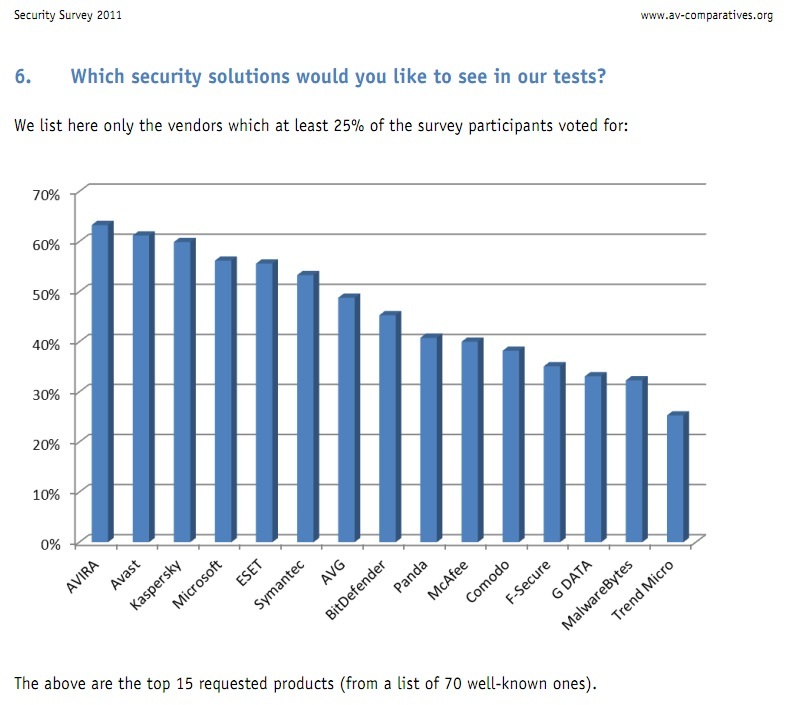 The AV-Comparatives Security Survey 2011 (pdf) released by AV-Comparatives.org in mid-March reveals that, from a list of 70 well-known security solutions, avast! ranks second in terms of which products respondents wish to continue to see reviewed. Notably, 5 of the top-7 requested brands are based in Central and Eastern Europe. Laboratories that respondents considered the most “trustworthy / reliable / independent” for testing security products? AV-Comparatives, Virus Bulletin, AV-Test, ICSA Labs, and West Coast Labs. Considering that AV-Comparatives survey respondents are perhaps a bit different audience than readers of the avast! Blog, what do YOU think are the most important aspects in a security product?